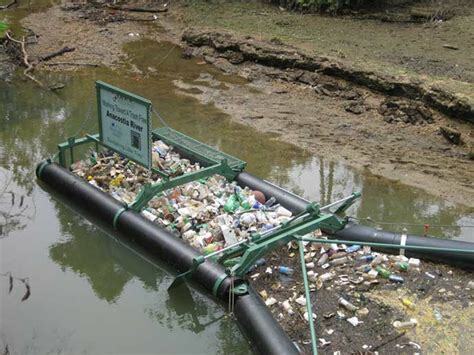 In October, an InsiderAdvantage feature highlighted the work of the South River Watershed Alliance (SRWA), and other groups, and their efforts to raise funds for the installation of an innovate litter trap that collects floating trash – which is a local, national, and global, problem. The report noted that the effort to raise $324,000 had received a critical boost from the Georgia Environmental Protection Division (EPD), which pledged $75,000 through a Regional Water Planning Seed Grant. Despite these commitments and others, the groups faced an upstream, trash laden battle. Today, DeKalb County CEO Michael Thurmond announced the County would fully fund the trash trap and money committed by other groups would be returned for other uses. The “Bandalong Litter Trap” will significantly reduce the amount of floating trash that washes down the South River and into Jackson Lake. Severe flooding can cause the trash to wash further downstream. “Trash-laden stormwater is a major problem for the residents of Jackson Lake and South River,” noted alliance president Jackie Echols. The Alliance and the Jackson Lake Homeowners Association have been working on a solution to the trash problem that would improve water quality in the river, the lake, communities downstream from the lake – and potentially Georgia’s coastal communities. Plastic bottles, Styrofoam and other types of floating trash frequently end up in America’s streams, rivers, lakes and oceans. The South River ends in Jackson Lake, 60 miles southeast of Atlanta, but floodwaters can send the trash into the Ocmulgee River, which joins the Oconee River 241 miles downstream to form the Altamaha. Along the way, the Ocmulgee and its tributaries drain an estimated 6,180 square miles in sections of thirty-three counties. The Altamaha River flows generally eastward for 137 miles towards the Atlantic, where it empties into the ocean near Brunswick, Georgia. Floating trash is local, regional, and global, problem. The Great Pacific Garbage Patch, also known as the Pacific trash vortex, spans waters from the West Coast of North America to Japan. The patch is comprised of the Western Garbage Patch, located near Japan, and the Eastern Garbage Patch, located between the U.S. states of Hawaii and California. The trap is also environmentally friendly, she explained. The litter trap will be located near Snapfinger Wastewater Treatment Facility on Flakes Mill Road. It is estimated that the trap will capture as much as 50 to 80 percent of the trash that enters the river from upstream.